Our online staircase cost calculator offers an instant price for most basic staircase requirements even though the reality is that each stair will be made to order and entirely bespoke. For anything more complicated or unique, please contact us for an individual quotation. 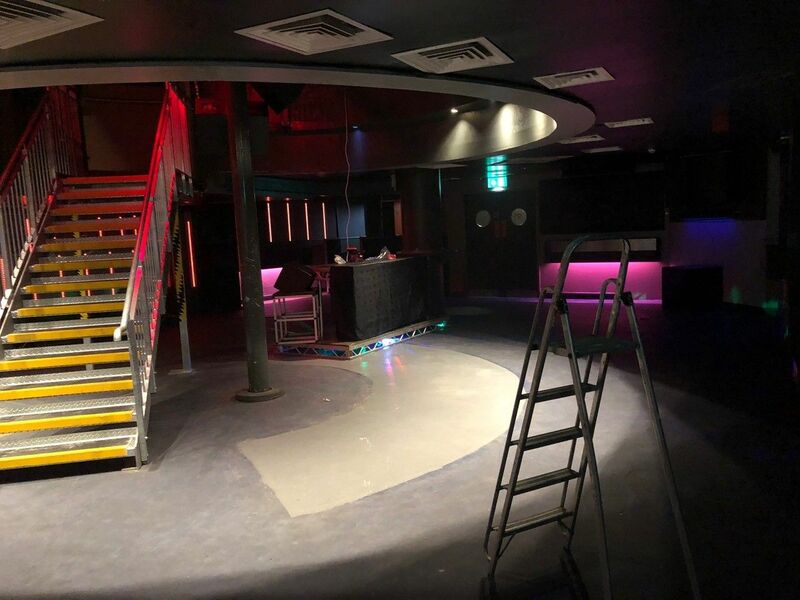 The stair was hot-dip galvanized for super-low maintenance and an industrial look that fits with the theme of the nightclub. Most external stairs are galvanized simply to protect against the elements but a recent trend for industrial finishes internally is seeing more and more galvanized products being installed inside homes, offices and commercial premises. Want to buy a metal staircase? Get a quote via our online stair pricing tool, send us your drawings or give us a call to discuss. About us – DioMet are a family run steel fabrication company that has been trading over 28years. All steel staircase fabrication is carried out to the highest level, fully building regulation compliant to BS 1090-2 (as is required by law) and manufactured to bespoke customer requirements. We offer a full service of supply and installation if required, subject to postcode or can deliver in kit-form for self-assembly.